The IP address 192.168.1.254 is the default IP address for many home broadband routers as well as modems. These include Netopia/Cayman Internet gateways, Billion ADSL routers, Westell modems for Bellsouth, etc. The 192.168.1.254 is a private, IPv4 network. It is the gateway to access your router interface. It is very easy to change and reset the password of your router using 192.168.1.254. This IP address functions similarly to the 192.168.0.1 IP address. You need to connect your computer to the router before you make any changes in the router interface. If there is no connection, you will not be able to make any changes. Unplug your modem connection and router device should be switched on during the process. You can use an Ethernet cable to establish a connection between the router and the computer. A default IP address is necessary to access a router interface. Thus, never forget the default IP address. If you do, you can check it out on the sticker placed on your router by the manufacturer. Before you access the router admin page, you need to switch off your modem. Switch on the computer and connect it with the router using an Ethernet cable. Open a web browser on your PC and enter the IP address 192.168.1.254. It will lead you to a router admin page. The router admin page or router access page is password protected. You need to enter the default username and password to access the router interface. The default username and password in most cases is admin. In some cases, the password field needs to be left blank. You can find the router default username and password on the sticker stuck to your router by the manufacturer. Click OK and log in to your router. Once you gain access to the admin page, you need to look for WLAN. It will contain all the Basic menu options for your router. You will land on the Wireless Configuration page and make sure your WLAN service is set on Enable. Enter a new name for your wireless network in the field that says ESSID. Keep the Security Mode set at WPA2. Enter a password that is strong and cannot be easily hacked. Choose uppercase and lowercase alphabets, numbers and special characters in combination. Enter the new password next to WPA Shared Key. Save you wireless network settings by clicking on Save Config and then click Apply. 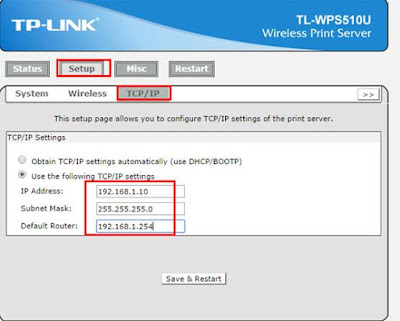 This is all about how to configure the router using 192.168.1.254 IP address. It is very easy to access and change the basic settings of your router using this default IP address. A VPN (Virtual Private Network) interfaces a PC or workstation over the Internet to the workplace arrange enabling the remote client to function as though they were sitting at their work area in the workplace.